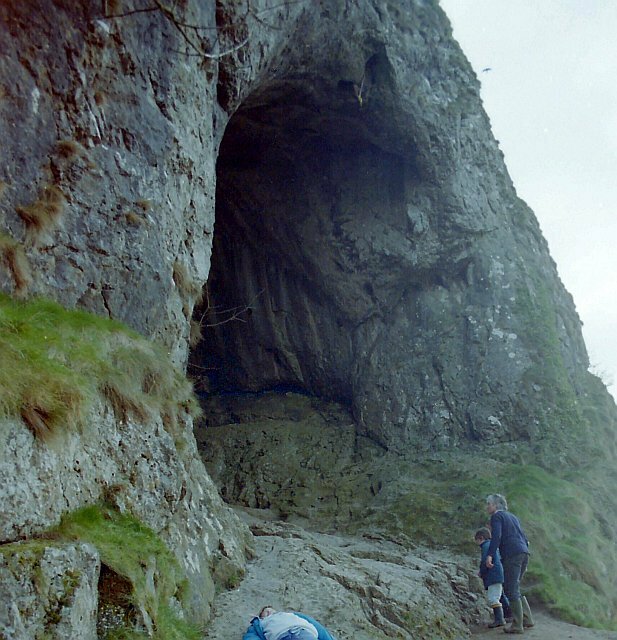 Set high above the Manifold Valley in a steep crag, Thor's cave is a natural cavern formed in the limestone of the White Peak in Staffordshire. It may be reached via an easy stepped path from the Manifold Way in the valley below. The cave entrance is 10m high and popular with climbers. Excavations in 1864–1865 and 1927–1935 found human and animal remains, stone tools, pottery, amber beads and bronze items within Thor's Cave and the adjacent Thor's Fissure Cavern. The caves are estimated to have contained the burial sites of at least seven people. The finds suggest that the cavern was occupied from the end of the Palaeolithic period, with more intensive use during the iron age and Roman periods. This page has been viewed about 229 times.